Complimenti a Mairitales! Con la sua deliziosa spilla dal sapore marinaro è la vincitrice del challenge. Mairitales scelto il nuovo tema: Over The Rainbow. Congrats to Mairitales! 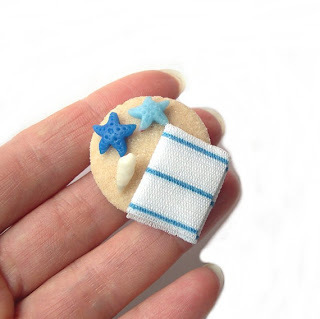 With this lovely marine brooch she is the winner of the challenge. Mairitales has chosen the new theme: Over The Rainbow. Il nuovo tema: Over The rainbow! 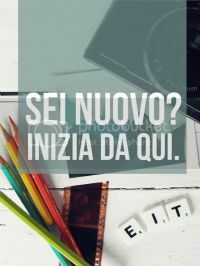 E' divertente partecipare al challenge e in più potete vincere una feature sul nostro blog, e sarete inclusi nel Weekly Finds che sarà pubblicato successivamente alla proclamazione del vincitore! 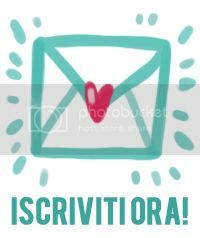 - manda una convo a Kosmika su Etsy il 15 maggio con il link al tuo lavoro messo in vendita su Etsy. 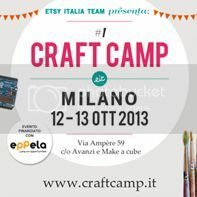 Per favore mandatemi i link solo via convo su Etsy! The new theme: Over The Rainbow! It's so fun to participate to the challenge and you can also win a feature on our blog and you'll be included in one of the Weekly Finds after the announcement of the winner! -convo me your entry (the link of your list on Etsy) at Kosmika on Etsy on the 15th of May. Please convo me only on Etsy! - the winner cannot take part to the next challenge. ...Complimenti alla vincitrice :D primo posto meritatissimo!